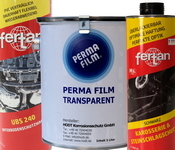 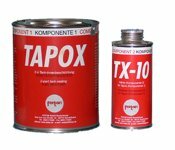 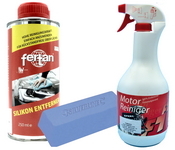 FERTAN TAPOX 2K Epoxy is an inside tank coating for tanks made of metal. 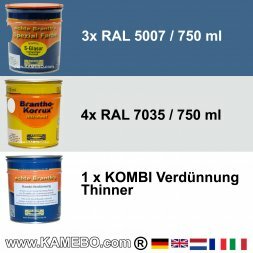 For painting the inside of gears you may apply BRANTHO-KORRUX 2-KOMPO. 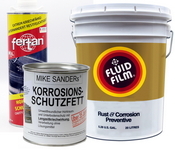 For inside coating of process water storage tanks (not for drinking water tanks! 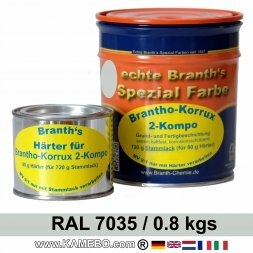 ), for swimming pools and suchlike you may use BRANTHO-KORRUX 2-K DURASOLID. 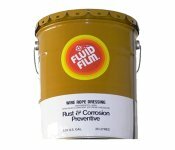 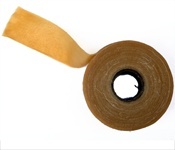 For greasing of wire ropes that are merely exposed to low loads you may also use FLUID FILM Liquid AR. 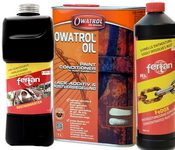 Liquid AR is also available in units of 1 litre and 5 litres.